In the interest of providing information faster than ever before Google has added a nifty little feature I personally think social media managers will love when curating content for their posts. 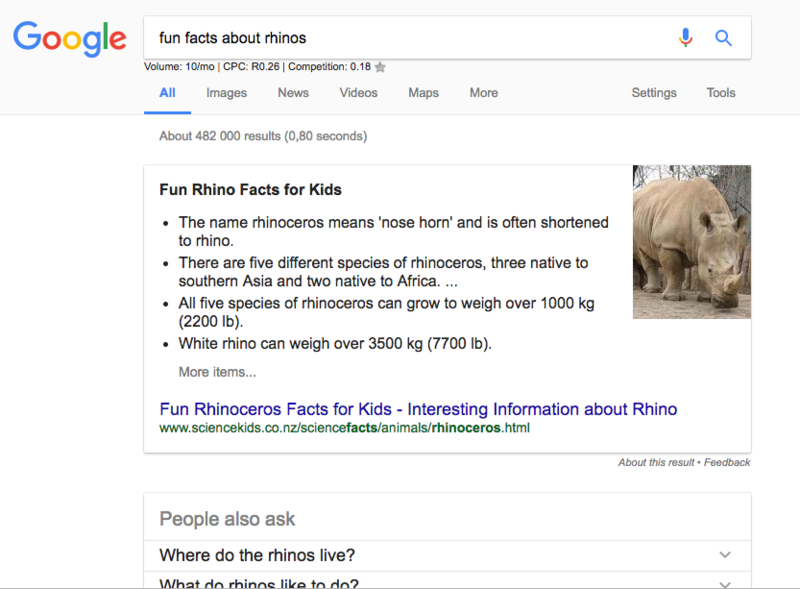 Adding the words 'fun facts' to queries for animals, plants, fruits or vegetables will surface a list of facts atop search results, in position 0. 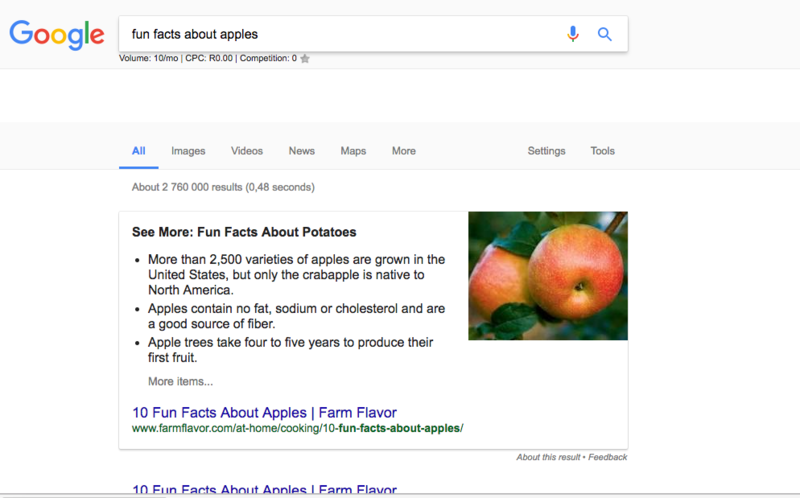 Google launched a new search feature today, serving up fun facts atop search results for animals, plants, fruits and vegetable queries that include the words “fun facts.” This will begin to appear on both desktop and mobile Google search results pages. For certain queries, Google has rolled out an additional position apart from your usual 10 results per page. Google awards this to superior content that answers users exact query perfectly and sits pretty and distinctly highlighted on top of the SERP. A position which SEOs strive to win and fight tooth and nail to retain. We tried out the fun facts search query for Apples, Red Oak Trees and Rhinos and this is what was returned. 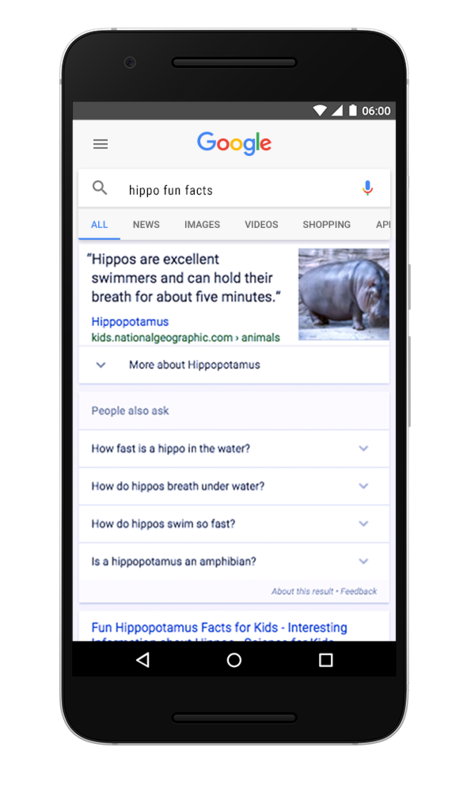 Try out some queries using 'fun facts' and see if Google returns some instant answers if it does feel free to share it with us in the comments section below. 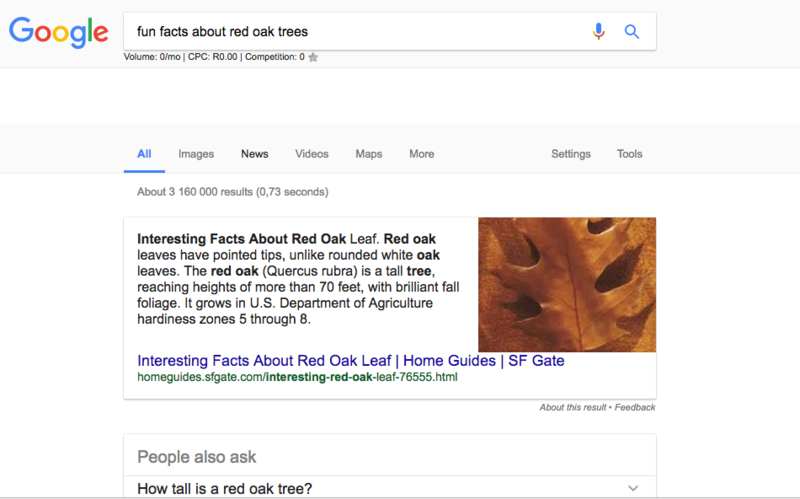 For some queries, Google says multiple facts will be displayed as the search result page is refreshed.